This week's Top Ten Tuesday topic hosted by That Artsy Reader Girl is Top Ten Popular Books that Lived Up to the Hype. There's nothing more disappointing than a book that you just know you're going to love falling absolutely flat. On the flip side it's so amazing when a book absolutely lives up to expectations. Here are 10 that really worked for me! 1. Big Little Lies by Liane Moriarty - It took me forever to get around to reading this book (or any book by Moriarty) but when my library got this in audio I decided it was time and I'm so glad I did! 2. Me Before You by Jojo Moyes - I had no plans to read this one because it seemed like a guaranteed ugly cry and I'm not a fan of that. But (and I'm slightly embarrassed to admit this) I loved the movie previews so much I had to read the book. 3. Garden Spells by Sarah Addison Allen - I really wasn't very interested in reading this but I picked up another book by this author on a whim and absolutely loved it so I knew I had to read this one and it was gorgeous! 4. Still Life by Louise Penny - I didn't discover Louise Penny until I started blogging but everyone who loves mysteries seemed to adore this series so I knew I had to try this one! 5. As You Wish by Cary Elwes - Before picking this one up I had seem nothing but glowing reviews and after listening to it I became one of them. If you love the movie Princess Bride than you must read/listen to this book and I highly recommend going the audio riyte. 6. 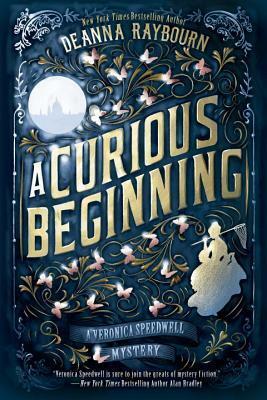 A Curious Beginning by Deanna Raybourn - I really enjoyed other books by Deanna Raybourn but this first in a new series really seemed to be everywhere for awhile. When (several years later) I read it I could see why. It was so good! 7. The Kitchen Counter Cooking School by Kathleen Flinn - Everyone I knew who had read this book told me to read it and it came up frequently as a favorite or recommendation on the What Should I Read Next podcast from Anne Bogel. It made me want to make chicken stock and really learn the basics! 8. Matilda by Roald Dahl - Somehow I missed Roald Dahl completely as a child but Matilda always seemed to be on the list of most loved childhood books. I ended up reading it as an adult and adored it. 9. Before the Fall by Noah Hawley - I really had no intention of reading this. I don't like disaster books and I don't like any book where children are in peril and this had a little bit of both but for some reason I picked it up and I loved it! It definitely kept me reading and I couldn't wait to see what was going to happen. 10. My Name is Lucy Barton by Elizabeth Strout - This was another one I had no interest in reading but I saw some really good reviews and then my library got in audio so I figured that was a sign. I was surprised how much I enjoyed this quiet little novel. It was definitely worth the read! What hyped books lived up to your expectations? Big Little Lies- same here. Once I finally picked it up I loved it. And I definitely need to get As You Wish! It is good when books live up to they hype and I also think when I have a fair idea that I would like a certain kind of book then the book has a good chance of living up to the hype. But like 9 and 10 in your list its always a pleasant surprise when one you ordinarily would think you are not that into turns out to be a really good read. 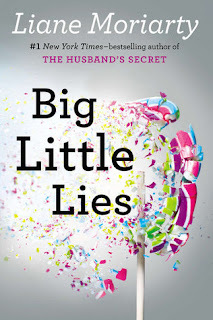 Big Little Lies made my list too. Me Before You lived up to the hype for me as well. I haven't actually read any of these! At least I don't remember reading Matilda when I was younger but I was a great fan of his other work. A tough question to answer, but I've read half the books on your list and agree with your answers. I've read 5 of the books on your list too and probably own at least 3 more. A book that's hyped doesn't scare me away though I'm always as enthusiastic as some. There have been a few books in past years that I read and then though 'this will be big'. This was in the years before I knew what 'book hype' was or maybe before it even existed. A couple of those were Jurassic Park and The Firm (Grisham). I haven't read any of these. I do know the feeling when you read a hyped up book and it doesn't live up to expectations. I'm glad to hear these did. So funny that you didn't read Me Before You until the movie was already on its way! Glad you liked it :) What did you think of the movie? And... wow I really need to read The Kitchen Counter Cooking School. It seems right up my alley! Adding to my TBR now. I also read Me Before You because the movie previews looked amazing! Matilda is just one of my all time favorites, and it's so great that you loved it as an adult, too! I also loved As You Wish, too! Ooo I have read all and loved all but 3. Must add them to my list!!! I love anything by Roald Dahl! Great list! I have only read a couple of these. My Name is Lucy Barton was a big surprise for me. I had an arc and to be honest I am not even sure why I requested it. I ended up loving that book. It is one that I hope to read again someday. Great list! I loved Matilda as a kid and as an adult. We talked in book club about trying the Raybourn one. Glad yu found some that worked! I agree with you about A Curious Beginning, and I'm glad to hear your opinion on the Louise Penny series, because that's definitely on my list to read. And it looks like I should also try Matilda! As a child, I did like Dahl's two Charlie books, but when I read James and the Giant Peach, I didn't care for it, and it put me off trying his other books. But I should make an exception for Matilda, I think. Of the books on your list that I've also read, the only one I don't agree with is Garden Spells, but that's me. I've tried a couple of Allen's books and I'm just not a fan which I think is mostly not being a fan of magical realism. I can definitely see where fans of that genre would enjoy her writing.